5:30-6:00 p.m.– Silvia Federici, New York City, USA. 6:00-6:30 p.m.– Ana Rodriguez, Quito, Ecuador. 6:45-7:15 p.m.– Doina Petrescu, Paris, France. 7:15-7:45 p.m.– Elke Krasny ,Vienna, Austria. The last decades have seen an upsurge of art- and design-led urban activist practices propelled by the renewed commitment to “the right to the city.” In the face of scarce and inconsistent public financing, as well as predatory and profit-driven economic and urban development, citizen-driven micro urban economies have emerged as vital to sustaining urban communities across the world. The Fall 2014-Spring 2015 Stephan Weiss Lecture Series focuses on ways in which artist- and designer-activists have conceptualized and fostered the co-production of non-hierarchical and cooperative urban economic models. Two public events featuring academics, scholars-practitioners and activists will delve into the roles designers and artists are playing as agents of such urban transformations, and the affordances that design and art processes offer to civic, grassroots and community organizations involved in the creation of new organizational forms and practices of urban solidarity. Commoning the City: From Survival to Resistance and Reclamation. In response to the intense crisis communities are experiencing across the world, depriving millions of their basic means of subsistence, women are “leaving the home” and constructing more cooperative forms of social reproduction that are profoundly transforming our cities, increasingly blurring the separation between urban and rural, private and public space. Drawing upon these experiences, this paper explores how the “commoning” initiatives that women have taken in urban spaces—often motivated purely by economic necessity—have changed the process of social reproduction, giving women more social power and challenging institutional politics. The author argues that at the “point zero of reproduction” survival becomes a transformative force. We Stay in San Roque: Networks, Labour, and Social Cooperation. In the context of gentrification processes around historic city centers, local communities face pressures from government authorities, real estate developers, and property speculators. In the specific case of San Roque’s Market in Quito, its strategic location makes the neighborhood highly attractive to large-scale investment for real estate development, and emblematic of global trends targeting heritage cities to turn them into destinations for tourism. These processes have prompted communities to organize and mobilize, strengthening their position and building defense fronts. Looking at these processes and the need to raise awareness about issues related to “the right to the city” from concrete experiences designed towards the “cooperative city,” this paper illustrates work the author has done in San Roque, work which started as a research commission, developed into a process of community mediation, and has now evolved into a collective action and new form of social cooperation network: the Knowledge Network for San Roque. The group addresses relationships of exploitation within the market, and seeks to halt the ongoing precariousness its workers experience. A space of struggle is constituted, involving multiple actors, and it is clear that the problem of the market is a prism of greater urban issues pertaining to the city. In this perspective the importance of the metabolic role of the market in the city (San Roque feeds 34% of the city population) allows a new horizon for actors who want to ensure the survival of San Roque’s market. A Feminine Reconstruction of the Commons. This paper explores how the “commons’’ is a political architectural project that is central to feminist strategies for reconstructing our social, political, affective and cognitive agency. The paper draws on a number of projects developed by Atelier d’architecture autogérée with residents in Paris and its suburbs to demonstrate how these processes of sexed, spatial and ecological invention—processes whose “agents’’ are mostly women—produce new social relations of and for the commons. Unplanned History: Communities of Resistance. The title of this presentation proposes a paradox as its starting point: unplanned history. History eludes planning, since it has already happened. Yet the writing of history, as feminist and post-colonial scholarship has shown, needs both care and planning. The focus of this presentation is on communities of resistance and practices of hospitality, and the intersecting issues of self-organization and austerity, supported action and precarity of bodies, labor, space and resources. The author’s research-based curatorial work will be described through the 2011-2012 project “Mapping the Everyday. Neighbourhood Claims for the Future,” a collaboration with the Downtown Eastside Women’s Centre, an example of feminist self-organization and solidarity urbanism in Vancouver, B.C. She will also discuss her book Hands-On Urbanism: The Right to Green, which explores urban gardening through the lens of self-organization, dynamics of migration, and resistant practices. 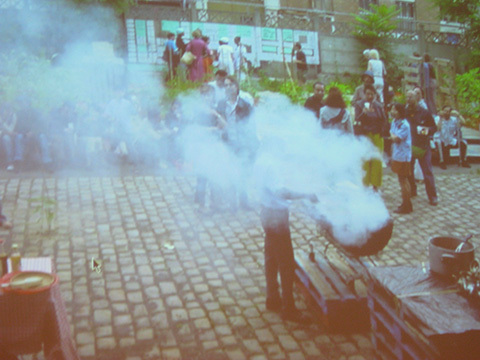 Internationale Tagung des Forschungsfeldes wohnen+/-ausstellen in der Kooperation des Instituts für Kunstwissenschaft und Kunstpädagogik an der Universität Bremen mit dem Mariann Steegmann Institut. Kunst & Gender. International conference of the research program wohnen+/-ausstellen (living+/-exhibiting), a collaboration between the Institute of Art History and Art Education at the University of Bremen and the Mariann Steegmann Institute. Art & Gender. Mind into Matter: Bodies and Responsive Space is a platform for the beginnings of an interdisciplinary exchange of critical scholarship and creative practice in the field of body-environment relationships. 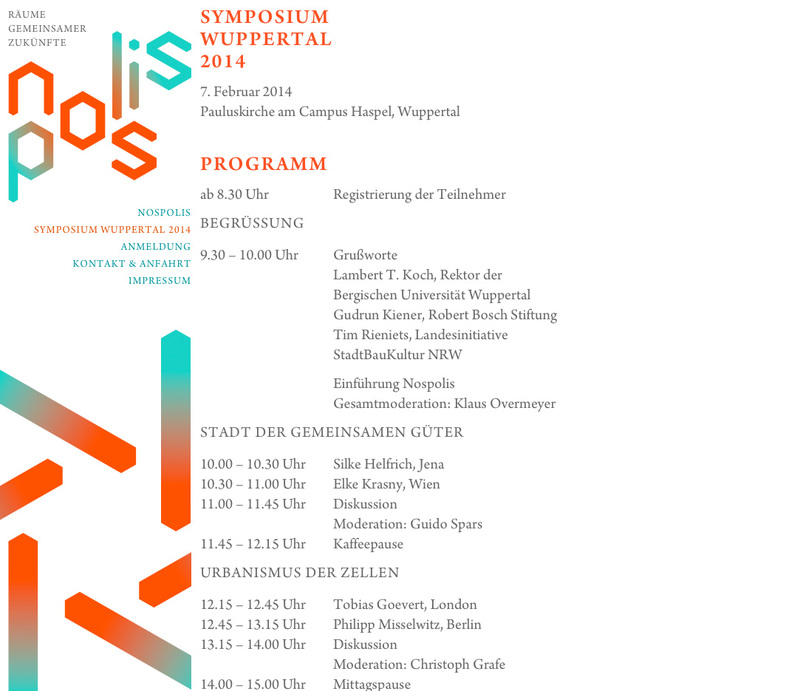 The three-part event to be held in May 2014 includes a symposium, exhibition, and performance, and engages practitioners from the arts, sciences, and design fields. A publication will document and extend the developing discussions and projects. The Installation by Sarah Bonnemaison (Dalhousie University) will include a performance by Mocean Dance, choreographed by Claire French (Simon Fraser University), and contributions from sound artist Lukas Pearse, computer scientist Derek Reilly, and composer Sandy Moore. In recent spatial practices and engagement in urban transformation, debates have surrounded the putative master planning and the putative un-planning or un-planned. This opposition has been undisputedly at the heart of critical spatial practice and theory. The title of this lecture proposes a paradox as its starting point: unplanned history. History eludes planning, it has already happened. Still, the notion of the unplanned, as the lecturer emphasizes, is not the only conduit into history. Quite on the contrary, the writing of history, as feminist and postcolonial scholarship have shown, needs care and planning. Elke Krasny will position a different genealogy of feminist urban curating (largely unwritten) and feminist strategies for writing an urban history that otherwise will have remained untold and invisible. These two histories will be unfold in parallel as part of an ongoing exploration of critical spatial practices in urban curating and of feminist (proto-)curatorial models of conviviality and the writing of unwritten history. Presented examples will reflect these concerns from a historical and transnational perspective. Examples given will range from late-19th century feminism to artistic, curatorial and writing practices by Dolores Hayden, Suzanne Lacy and Lucy Lippard and some of Krasny’s own work as an urban curator. In combination with the lecture, the workshop will look at the interrelations and interdependencies between critical practices of artistic production, curatorial approaches, issues of urban epistemology and research-based strategies. The focus will be on conviviality and care and on issues of vulnerability, resistance, knowing bodies of agency/(un)known bodies of writing. The workshop will combine the format of a read-in with an urban walk through the Tabor neighborhood, which we will develop collectively. Texts will include writings by Elke Krasny (On The Urgent Need for Contemporary Action), Judith Butler (Bodies in Alliance and the Politics of the Street) and Rosalyn Deutsche (Uneven Development: Public Art in New York City). Participants will receive texts after handed in application. These events are part of the 2014 World of Art public programme, which is being prepared by the SCCA-Ljubljana and the Igor Zabel Association for Culture and Theory. The programme is supported by: the City of Ljubljana – Department for Culture; ERSTE Foundation. Suzanne van Rossenberg, Queer art is about creating the possibility to say no to the dominant hetero-normative economic and political structures of art. Or yes. But to at least write a story about it that replaces an older one. 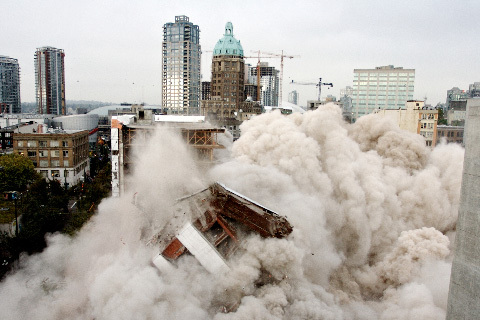 “The right to the city is like a shout and a demand”, wrote Henri Lefebvre in the 1960s. The exhibition “Hands-On Urbanism. 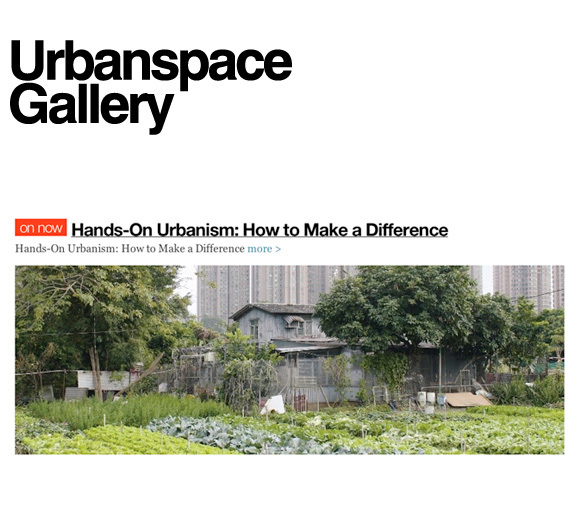 How to Make A Difference” is devoted to a history of ideas of appropriating land in urban space and reveals potential for initiatives by citizens willing to take action in crisis situations. 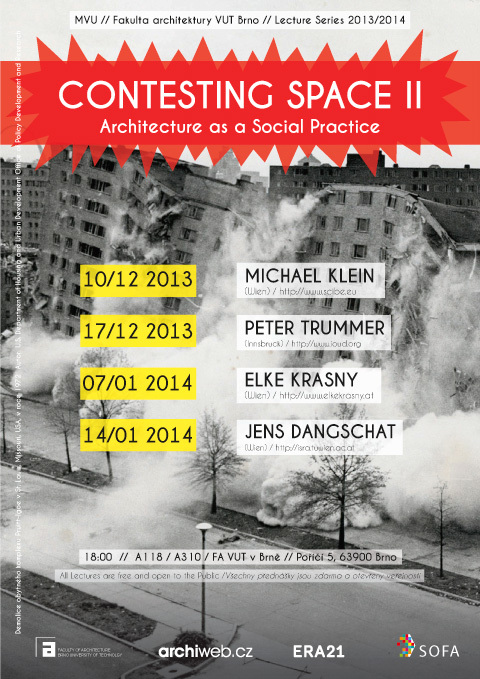 The presentation is based upon a critical history of ideas about the politics of space. Urban development from below leads to an informal and self-organized production of city, which, however never operates outside the system. Self-organization has always been both a reaction to and an incentive for urban planning. On the occasion of the exhibition, the symposium “Hands-On Urbanism. How to Make a Difference” brings together activists, architects, artists and landscape planners. In times of crises, austerity measures, and increasing spatial and social injustice, new alignments have to be forged. This different history of urban transformation and the city raises pressing questions about the responsibility of architects and planners and about how we use resources. The symposium is conceived of as both an exchange of ideas and case studies and a collaborative working towards the production knowledge. A keynote lecture by Elke Krasny on Friday, 02.28.2014, will give a historiographic overview on Hands-On Urbanism since the mid-19th century. Practitioners, architects, curators and community organizers, will share their work from a practical standpoint and talk about challenges they are currently facing which require them to think outside the box and to enter into new, and at times unexpected, alignments and collaborations. Contemporary urban life is marked by the imperatives of going public and becoming contemporary. Agency and urgency are inextricably intertwined. That which does not become public, is rendered inexistent. That which is not manifested in public, has barely any claim to agency. Those who do not exert their rights to the public, cease do participate in its contemporary production. Public space – and public time – have been turned into the new urban frontier. Urban curators leave the traditional confines of museums, galleries, and art spaces behind. They make themselves part of the ambivalences, conflicts and contradictions inherently at work in the conditions of contemporary processes of urbanization. These are marked by neoliberalism, accelerated gentrification, prevailing crisis, austerity measures and inequality. They are equally marked by bottom-up strategies, diasporic belongings, migrating knowledges, right to the city movements, self-organization, and the struggles for social and spatial justice. 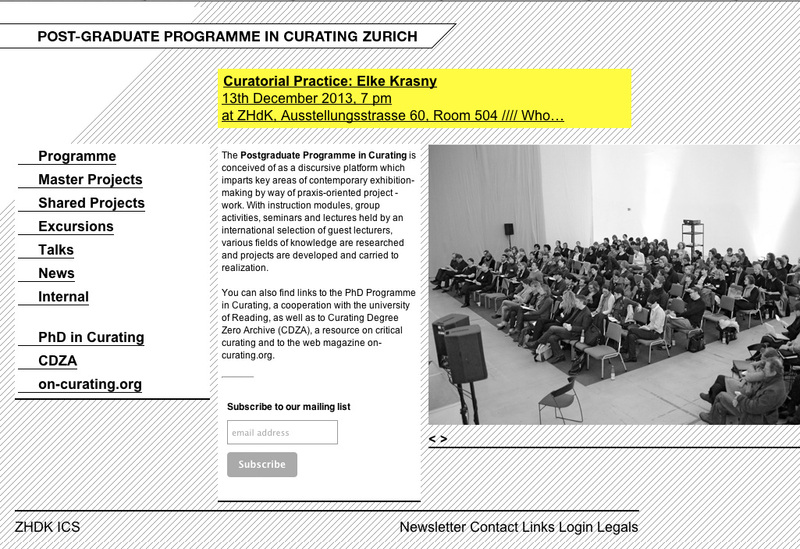 In this lecture I will present an outline of a real-imagined historiography of urban curating and share some examples of my own research-based curatorial work in Vienna, Hong Kong, and Vancouver.